Fingerprint recognition technology is one of the most reliable ways to control access to unauthorised areas. Once reserved for only the most high tech of businesses, biometric fingerprint readers are now widely accepted and being increasingly used in a broad range of fields. How do biometric fingerprint readers work? 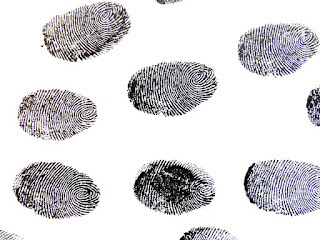 Fingerprint recognition is the most widely used form of biometric recognition, more popular than both iris and facial recognition techniques. The first step in this type of recognition is fingerprint template formation, which is also known as minutiae extraction. This is when the sample fingerprint is provided to the scanner and the scanner creates an 8-bit scan of the person’s fingerprint. This scan is then converted into binary code using complex algorithms. When an employee or other authorised person wants to gain access to your building, or a specific part of it, they simply need to scan their finger and the biometric reader checks its storage for a matching approved scan in a process which takes only seconds. Biometric devices are becoming more and more popular every day as people discover different uses for it. We often see fingerprint scanners used in airports and by police forces, but they are becoming more and more common as a method of access control. While key fobs, cards and keys are useful in preventing unauthorized personnel from accessing your property, there are occasions when they fail, such as if someone loses their keys, or has them cloned. Biometric fingerprint scanners are much more reliable as everyone’s fingerprint is unique and it is much harder to create a copy. Other examples of biometrics being used in less obvious places include at schools as a method of checking attendance, at gyms to only provide access to paying members and as a means of payment for services and goods. If your business needs to control access to restricted areas or has another use for biometrics then Gateway Automation can assess your requirements and provide you with a free, no-obligation quotation and feasibility survey. Click here for more information about FR-240 Biometric Fingerprint Readers, click here to arrange a callback or click here to download our free brochure.